The Long Beach City Council may consider a new ordinance aimed to curb "aggressive panhandling"
Mondays aren't the best days for panhandling in Long Beach. "I was pannin' for money, but I didn't see nothing, so I just come back," said Manuel Enrique Corlero, panhandler. But the city's homeless say every day is pretty good. "I know people who do panhandle that come back with $50, $60, $70 sometimes $200 dollars. Weekend, weekdays, yes," said Phillip Vargas. But people who spend a lot of time in downtown Long Beach say the aggressive panhandling is getting out of hand. "They get mad when you don't give 'em any money, and then you know where it's going. They want the money, they want to get their alcohol and stuff like that," said Frank Reyes, a Long Beach resident. "I'm a father of a son and I always tell 'em my money goes to my son. If you're able to walk up and down the street, and you can hear the change in their pocket, you guys need to go get a job," said Shane Taylor, a Long Beach resident. 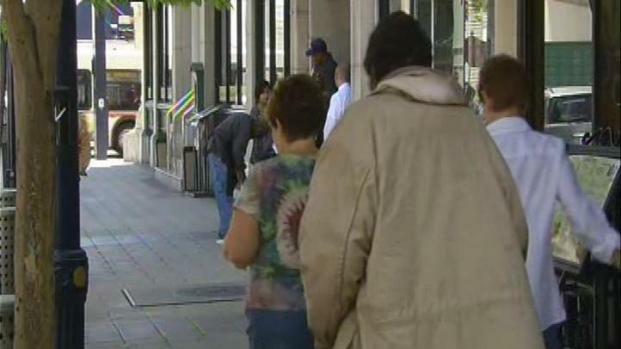 So Long Beach city leaders are looking at an ordinance to prohibit aggressive panhandling, the kind that intimidates. "We're in hard times right now. I don't have a job, but I'm not panhandling," said Reyes. Vice Mayor Suja Lowenthal said asking for money is a right, guaranteed by free speech. "We're balancing that with your right to walk the streets of long beach without feeling intimidated, so it's a balance. My rights should not supersede yours, just as yours should not supersede mine, so we're trying to create that balance, said Suja Lowenthal, Vice Mayor of Long Beach.